Leading the world into a fairer future with education. The Satoshi School is the only school in the world that teaches exclusively about BitCoin and BitCoin blockchain technology in a location that suits you. It was founded in 2016 by BitCoin co-founder Jörg Molt – who has been working on global digital cash projects since 1995. The need for educating people about BitCoin, BitCoin blockchain technology and its underlying philosophy, has arisen because of the general misconceptions in the media around other cryptocurrencies, (Ethereum) and false advertising by opportunistic operators. They have diluted the general knowledge about BitCoin, it´s positive purpose and the feasibility and functionality of the BitCoin blockchain (smart contracts). The BitCoin system and its respected protocol is a philosophy that balances the imbalance between exploitation, debt and wealth, with its own payment function. Since 2008, the BitCoin Blockchain has not been hacked or breached and its continued strength shows that it has become a symbol of financial self-determination, which is accessible to all. In addition, the BitCoin blockchain, through its unique open source structure, is able to meet the needs of a changing society and economy, which ensures greater transparency and efficiency. Even complex B2B functions, such as SAP and detailed financial transfers, can be safely replaced with smart contracts on the BitCoin blockchain – and has been since 2010. Since there are no administrators or other entities involved in this network, once a transactions is made its immortalized and cannot be changed later. The BitCoin blockchain is still the only computer-based self-administration of a complete banking system. Thanks to sophisticated encryption technology, even the inventor, Satoshi Nakamoto, is no longer able to intervene in the system and the algorithm. Therefore the unrivalled BitCoin and the BitCoin blockchain will remain the monumental invention of the 21st century. The Satoshi School fulfills its obligation in promoting the true power of this established and trusted technology, through sharing its knowledge and making it accessible to everyone. The school is committed to informing and protecting people against scams and false promises, which are being made by unscrupulous people. The school has the true interests of the original blockchain inventors at heart and it will continue to share the correct information through worldwide education. The founder of the Satoshi School, Jörg Molt is concentrating on the worldwide development and expansion of his school. 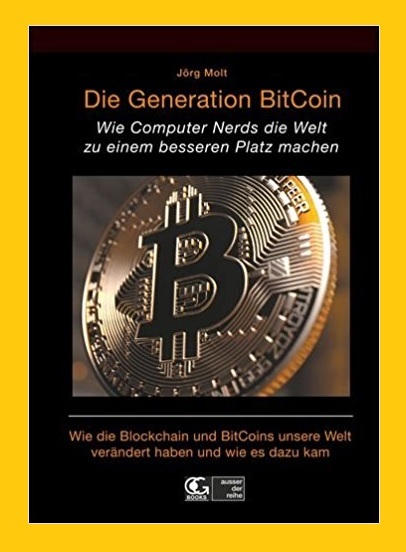 In German-speaking countries, the Satoshi School is being handled by Ole Schwarten, who also shares the philosophical commitment of Satoshi Nakamoto and Jörg Molt in leading the world into a fairer future with education. Jörg Molt is one of the few experts in blockchain technology and cryptocurrencies. 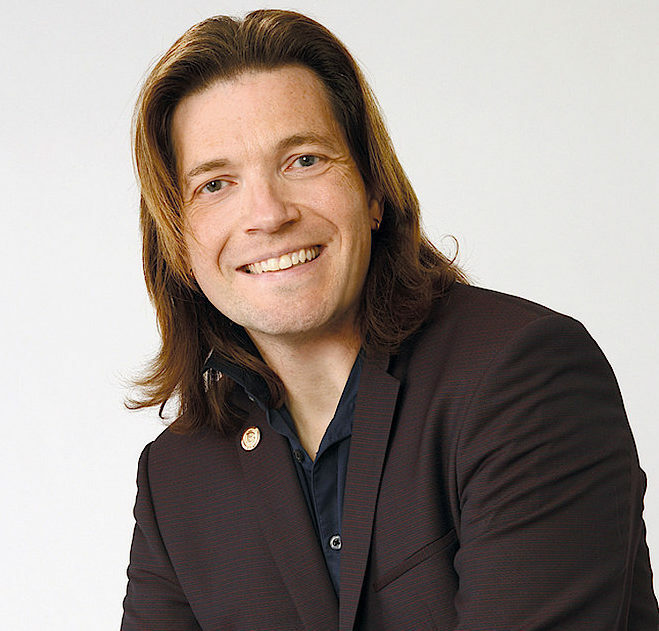 As a coach, speaker and consultant, he is one of the most renowned specialists in Europe. He advises renowned companies and institutions from many different industries worldwide on how to implement digitisation processes. As a solo miner and member of an Antminer network, he has helped to create key structures. From the very start, he built up capital and fixed assets in BitCoins. By generally developing smart contracts based on the local blockchain, he founded a holding company to act as a mediator between users and manufacturers. Together with other experts, this resulted in the “Satoshi Competence School”. Jörg Molt delights his audiences with his humour and clear explanations, using practical examples to demonstrate how (r)-evolutionary technology can be applied. BitCoin is a novel instrument of payment and a timestamp-based asset protection system. Decades of development of computers and their logic now enables people to do banking transaction instead to do banking, because of this progress. Because of today’s computers we no longer have to put blind trust into bankers. In 2008 Satoshi Nakamoto found the “holy grail”, how to make a computer so secure, that no-one including himself, can ever change the system, intervene or even turn off. For almost 10 years no-one was able to break through its security system. Fortunately the system works error-free and accurate since then and – an error could not have been correced anymore. In a way the BitCoin Blockchain is comparable to the SWIFT procedure: It records BitCoins and ownership details to a central register, which designates a time-stamp to a remittance, a demise or proof of ownership. This time-stamp is not changeable – EVER. It documents the historical truth, when a transaction has happend. This is important in copyright law, for example, in order to identify an inventor or to be able to clearly assign valuable objects to an owner. Sate-of-the-art technology in conjunction with the BitCoin enables automated payment transactions to be set in process. So-called Smart Contracts, which have existed since 1995, make it possible to formulate contract conditions electronically according to the “if, then, otherwise-principle”. This can be very helpful for an installment contract and so on. Despite the limited number of BitCoins (21 million) due to the underlying algorithm and the possibility of splitting its value to 8 decimal places, it is possible to supply to 9 billion people. 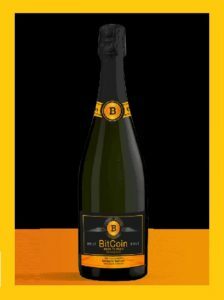 However, to guarantee the increase in value and distribution, not all 21 million BTC were issued at once – but only a certain number is issued every 10 minutes. At the beginning of 2009 it was 50 BitCoin per 10 minutes. The issue volume of BitCoin is reduced by half every four years. In 2016 only 12,5 BitCoin were issued and in 2020 it will be 6,25 BitCoin. This goes on until 2040. From this point on, all BitCoins are distributed. Thus today everyone has the possibility to exchange Euros against BitCoin, even if it is only 1 Euro. The Demand for BitCoin has developed from 80 people in 2008 to 40 million in 2017 and continues to grow rapidly. In many countries BitCoin is legal and in Japan it is even an official currency. Because BitCoins can be handled like „ordinary“ cash, governments have no influence on BitCoins and therefore they are powerless. All attempts to ban BitCoin in serveral countries, have fizzled out. The computers of the BitCoin world cannot be shutted down. There are too many mining computers spread all over the world – estimated 2.000 000 – and in addition, almost everyone has a PC at home. If one computer would be shutted down, immediately a new one would just be added. Even if all but two computers failed, these two would be enough to be a node and a miner – enough to restore the entire BitCoin network and to keep it up and running again. Who wants to do something about it? All over the world shadow societies have formed, buying and selling BitCoins on the street like goods after closing time under the counter. Ask yourself why? BitCoin will change society as a whole and this thanks to the fact, that you only need a smartphone to help people without any access to a bank out of poverty.